Employee recognition has evolved in the last couple of years. With its roots as a process for recognising great performance, achievements and expressing gratitude, more companies are starting to see its power as a tool for inspiring other types of behaviours like learning and achieving health and wellbeing goals. As employees, we are overwhelmed. Interestingly in his keynote at the 2017 HR Tech Fest, Josh Bersin showed us a powerful statistic. Since 2011 global productivity gains have slowed to a crawl. We made a big leap with smartphones but since then, we’ve been busier getting busier not necessarily more productive. 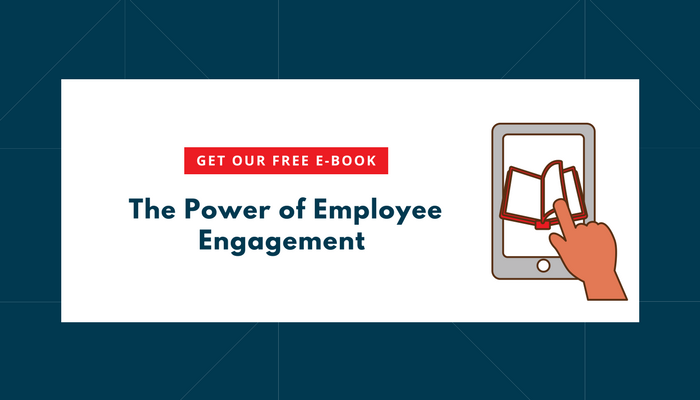 The average mobile user checks their phone over 150 times a day, more than 80% of companies rate themselves as complex or highly complex for their employees. The more complex the business the more likely we are to have multiple touch points and a need to stay connected via mobile. As Bersin summarises, we are more often suffering from FOMO. That sense that what we are doing is not what we should be doing, that we should be looking at the 101 other things that might be better than what we are doing! As employers, the only way we can make big leaps forward in our collective productivity is to help our employees cut through the clutter. Remove some of the addictive behaviours (150 times a day phone checking) that have become the norm. As corporations we too have a role to play in the health and wellbeing of our employees. We play the part of the catalyst for stress and anxiety in many cases but not the cure. Wellness and wellbeing is a hot topic, with many businesses choosing to take action with company-wide wellbeing strategies. Bersin’s view is that health, fitness, wellbeing and performance can be compounded into a single driver as a commitment to our employees. ‘Sustainable Performance’. Yes we care about performance but we also care about HOW you deliver it. Stress claims, burnout and absenteeism can all be impacted by a focus on sustainable performance. It’s not that hard to get off the ground. For those already committed to an employee recognition program adding a wellbeing element can be as simple as adding an extra award. Here’s an example of how we did it internally using the Redii platform at the Big Red Group of companies. We created an award called #hellawella (healthy and well), it’s an employee wellbeing award in which each employee sets up a personal fitness/wellness goal with a 30-day time frame to complete it. On this occasion, it was the Redii team that decided to participate. Everything started back at our Christmas team lunch – a few of us wanted to get rid of a few extra kilos gained over winter, others wanted to focus on meditation, be more committed to going to the gym, learn something new or improve overall wellness. 1. Set up a personal wellbeing goal that can be measurable. 3. Commit to a 30 Day period. 5. The winner receives 500 points that they can exchange in the shop for a reward. 43% of the team completed and achieved the goal they set and 14% of those partially achieved it. The group was highly engaged through the challenge and inspired by the level of personal transparency. The group reported feeling motivated and challenged because they were accountable to their peers. This wellbeing challenge has given us the opportunity to come together in something that is unrelated to work, which is great for team dynamics and now several of our clients have expressed an interest in running similar challenges. A recent and comprehensive study by the UK Government reviewed the evidence on employee wellbeing and its potential impact on workplace performance. It suggests that an improvement in well-being will result in improved workplace performance which directly impacts profitability. Finally, here is the winner of our #hellawella award challenge… Jade wanted to fit into an old pair of shorts and after a 30 day of tremendous commitment to a healthier diet, the next pic speaks for itself. Well done Jade, you are the #hellawella winner.